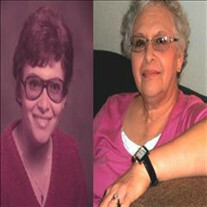 FORT WORTH - Liria Zulema Zapata, 73, passed away Wednesday, March 27, 2019. Liria was born March 7, 1946, in Del Rio, Texas. Survivors: Husband, Raul Zapata; daughter, Sandy Teeler; and sons, James Zapata and David Zapata. The family of Liria Zulema Zapata created this Life Tributes page to make it easy to share your memories.